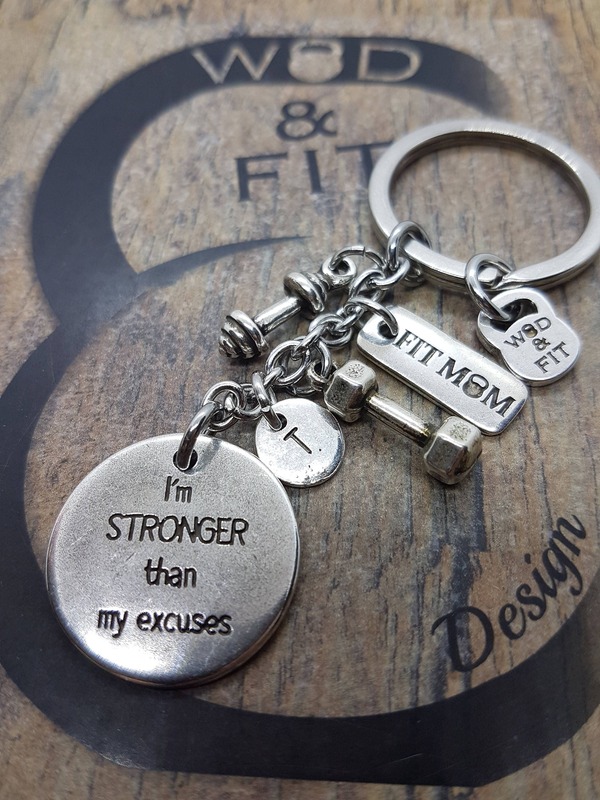 Keychain I'm Stronger..Let's Go! 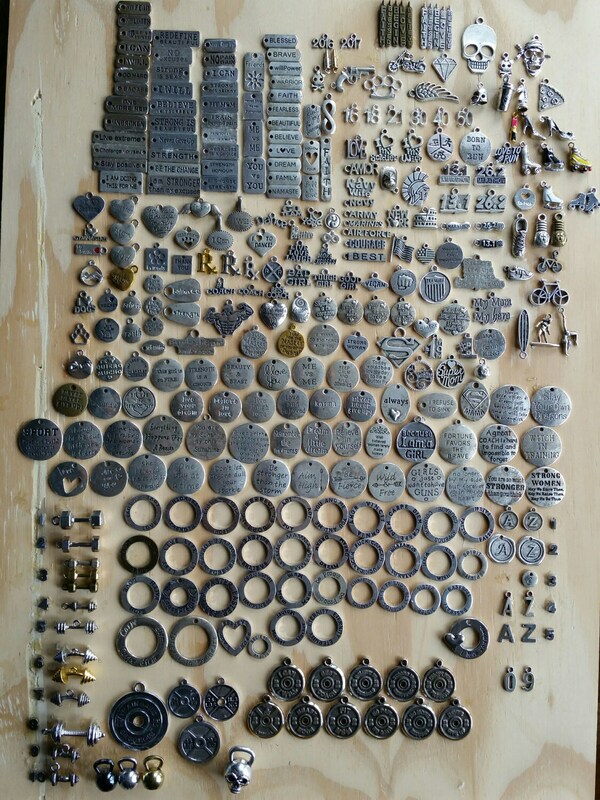 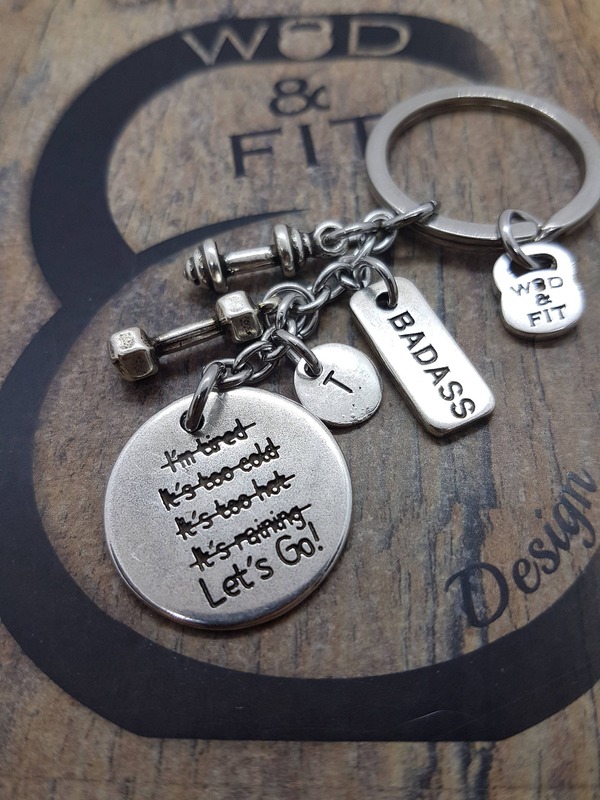 Dumbbell Hex, Barbell, Initial Leter and Motivational Word. 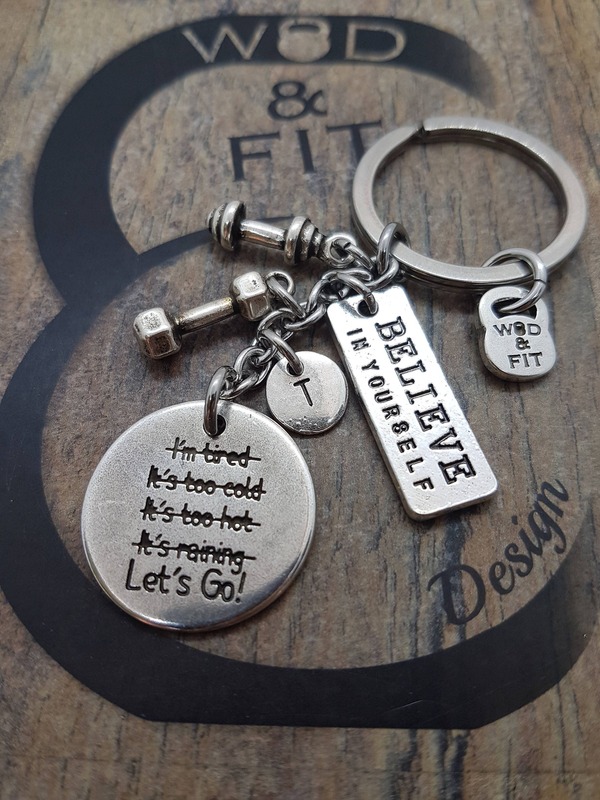 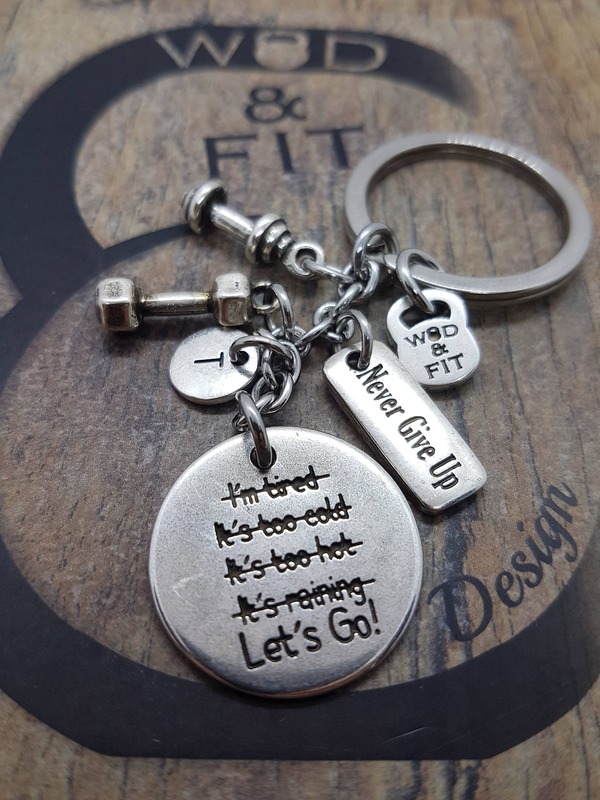 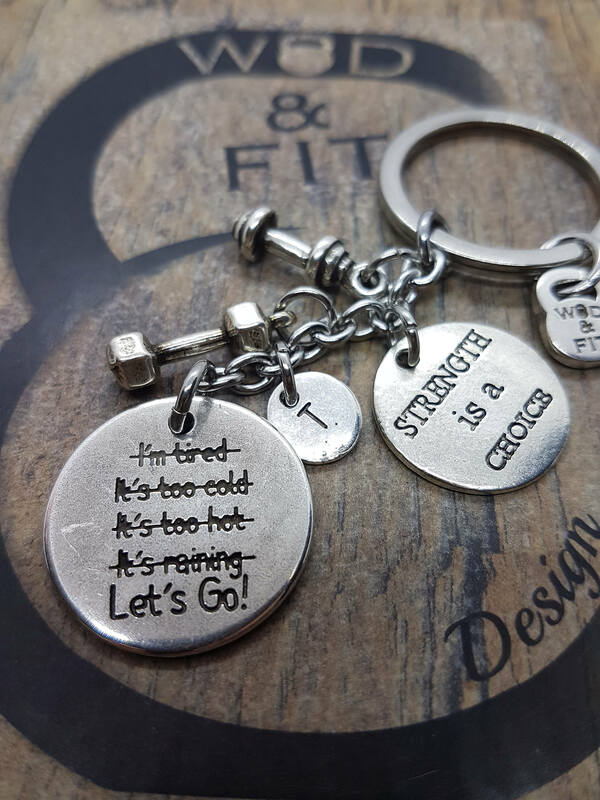 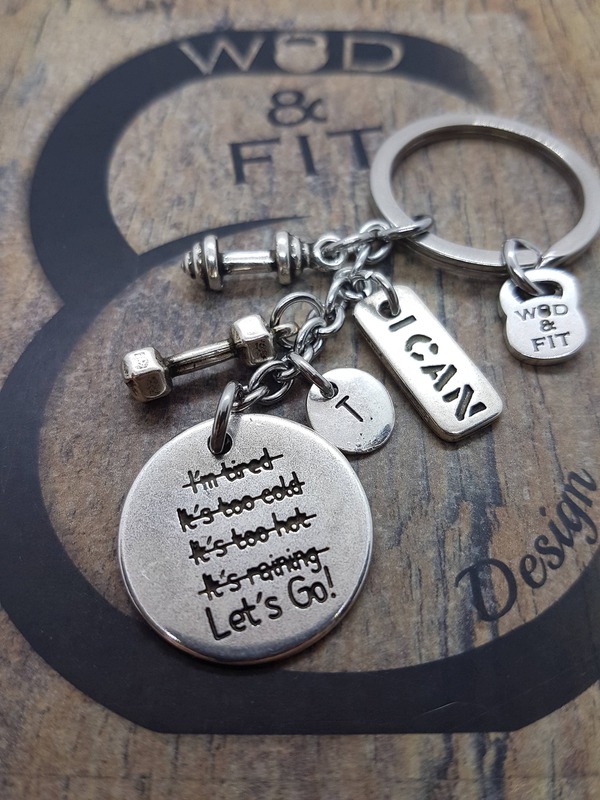 Keychain with the quote "Lets Go! 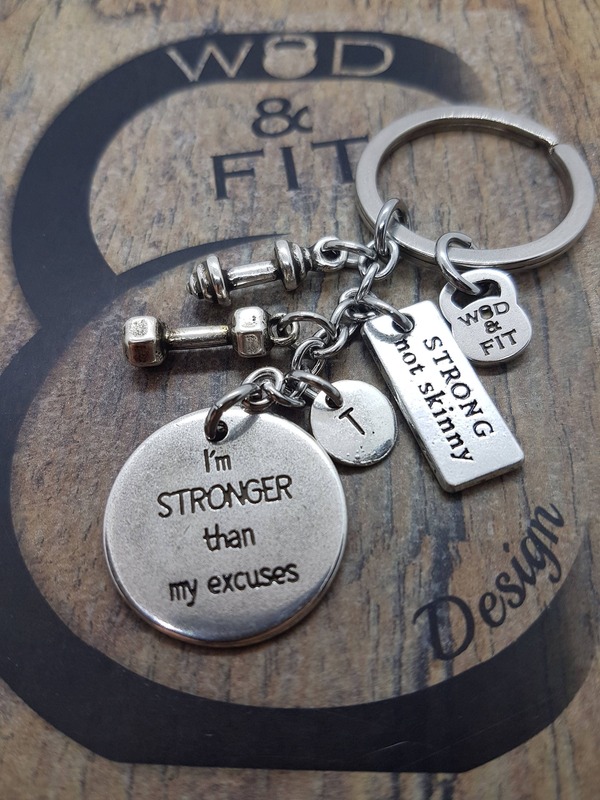 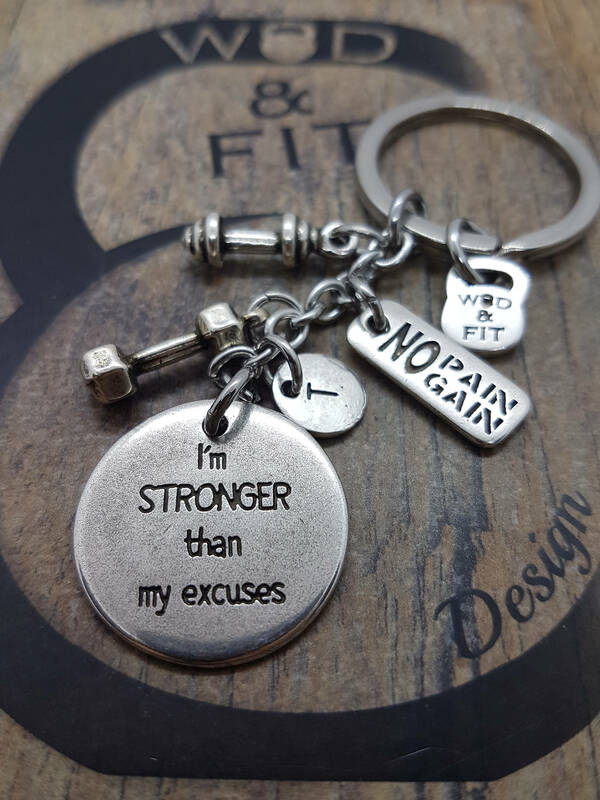 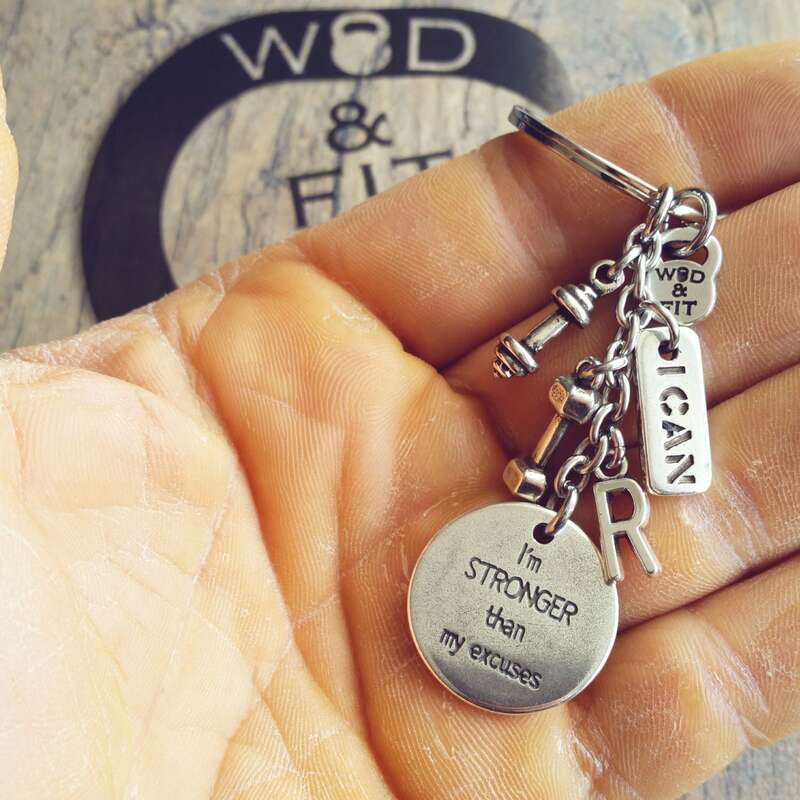 & (Back) I'm STRONGER than my excuses"(25mm) Dumbbell Hex, Barbell your first letter and Motivation word.